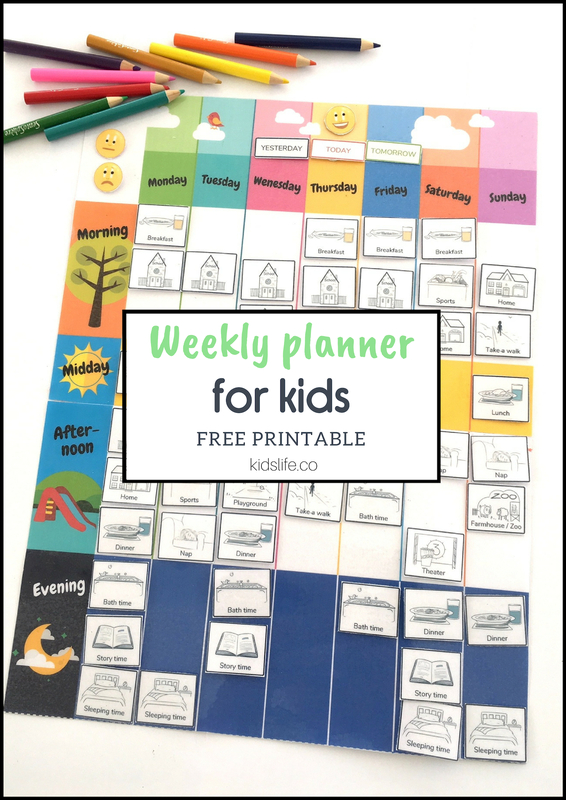 A weekly planner is great to help your children with their time management skills. 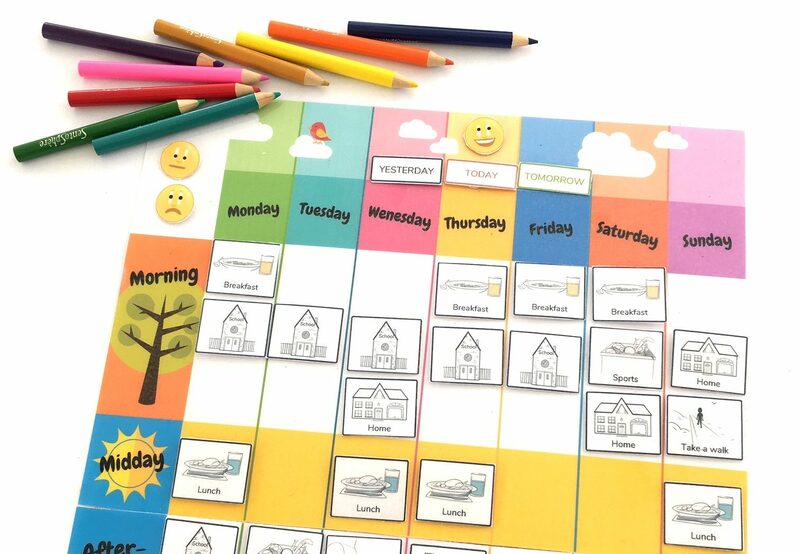 Today, create your own weekly planner for your kids. When my eldest was 3.5 years old managing time was always challenging. For him all that happened before was “yesterday” and everything that was going to happen was “in a minute”. He also had difficulties in acknowledging the difference between breakfast, lunch and dinner, and would even ask me for a steak for breakfast, I am not kidding! Regarding the management of the weekdays, he only saw the weekends as “non school days” and the rest of the week was just a big mashup. That is why I decided to create a weekly planner to help my little boy navigate that gigantic maze. Here, you will be able to download a free weekly planner printable.